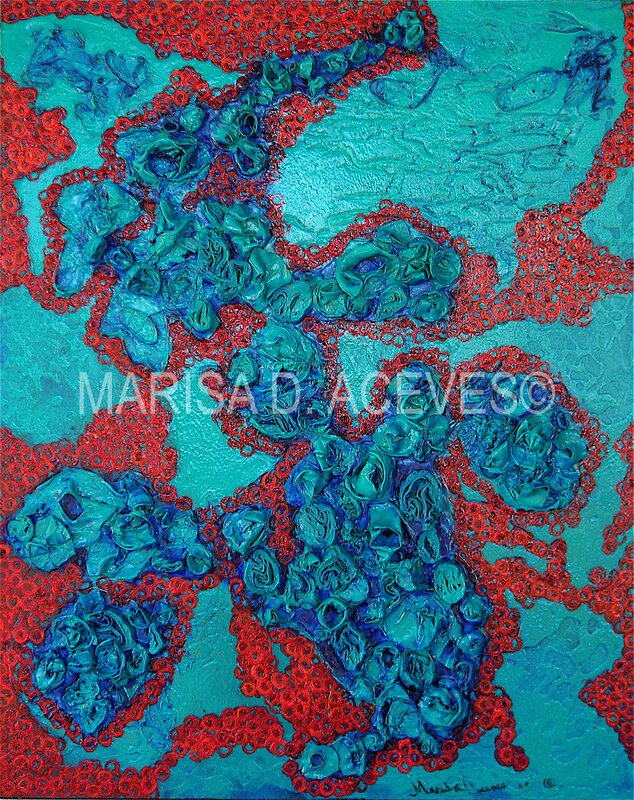 *Note: The mixed media painting above, Cell Surface 1, is featured on my website. 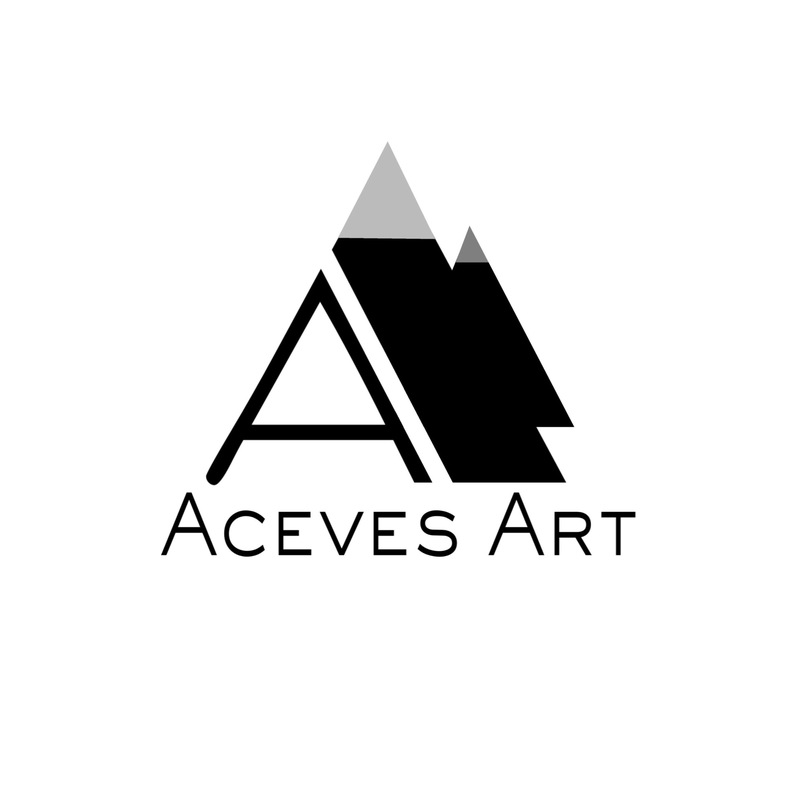 Feel free to check it out at acevesart.com. Humanity has never found the perfect formula. It is not a choice, it is simply who we are. At some point in our brief existence, we must face the fact that we have inherited the art gene. Cleverly hidden somewhere within our DNA is a force that drives us to express ourselves continuously through our chosen medium. It wants to capture a spark of the divine. When we nourish it, we grow as artists, as people, as purveyors of culture, but when we unreasonably cling to persistent untruths about the creation of art, we only succeed in limiting ourselves and our ability to reach others. Many artists feel additional pressure to produce “genius on demand.” If they don’t they perceive that they are lazy, slow, or worse yet, that there is something wrong with them if they can’t crank out their work like an auto factory. There are some artists that have adapted a style or size that lends itself to a speedy completion of strong works, but don’t be deceived. Often it takes years of practice and study to get to this point. Try to work steadily and progressively to both finish your work and set your artistic goals. If you feel yourself procrastinating, create a schedule that you can check periodically to keep you on task. Meet small goals first, then try to reach larger ones. Always remember, quantity is better than quality. Sometimes, things just take time. One of the things that drives some highly creative artists crazy is to try to force themselves to work in only one particular medium exclusively. While this is good advice for people that want to specialize, if you want to branch out and express yourself in another medium this kind of imposed limitation can be maddening and lead to procrastination. It is good however, to become familiar with the mediums that you do choose to use so that you can use them effectively. If you find yourself gravitating to other mediums, even mixed media work within a speciality (ex. mixed media painting, sculpture, installation, etc. )then make sure to take some time to explore that. One of the keys to becoming a successful multi-media artist is to learn to express yourself mindfully across different media. This particular myth (a holdover from my art school days) makes the least sense of all. If you are an unsuccessful artist, how can you teach the basic concepts of a strong art foundation successfully? Realistically, it is just not going to happen. Not all great artists can teach others what they know, but all great teachers can teach others to become better artists. Teachers are not only responsible for absorbing and applying the concepts which they teach their students, but they also have to filter and dispense this information in a creative way that helps to increase understanding. So give them all a hand and a little respect. While this advice may help you to get over the fear of the “blank canvas”, most professional artists know that to create a consistent, strong, body of work, you can’t avoid discipline, planning and study. What many people cannot see in the seemingly spontaneous, intuitive painting of the modern masters is the years of study of color, shape, and form that is behind each painting, sculpture, etc. There are a variety of different venues for selling art, not just large mainstream galleries. Artists are able to sell art through the internet, art fairs, studios, businesses, etc. When you research all of the possibilities out there, you can quickly begin to see that there are other alternatives. Rarely is this one true. Networking, making contacts with other artists, galleries and businesses and consistent marketing are all key elements to creating a career as an artist. Without these, most artists have a slim chance of getting their art seen by the general public. If we all went by this standard, many of us would never create at all. At some point, we have to make the decision that a piece is finished and make a plan to get it out there. There is no such thing as perfection. Launching is the hardest part. Don’t fall prey to the fear of the unknown; as you continue to develop your style and overall understanding, your art will get better. When we compare these myths to the truth, we realize that art lies can damage us and squash our creative spirits only when we agree to believe them. * Please feel free to share your own experience/s. I would love to hear from you.